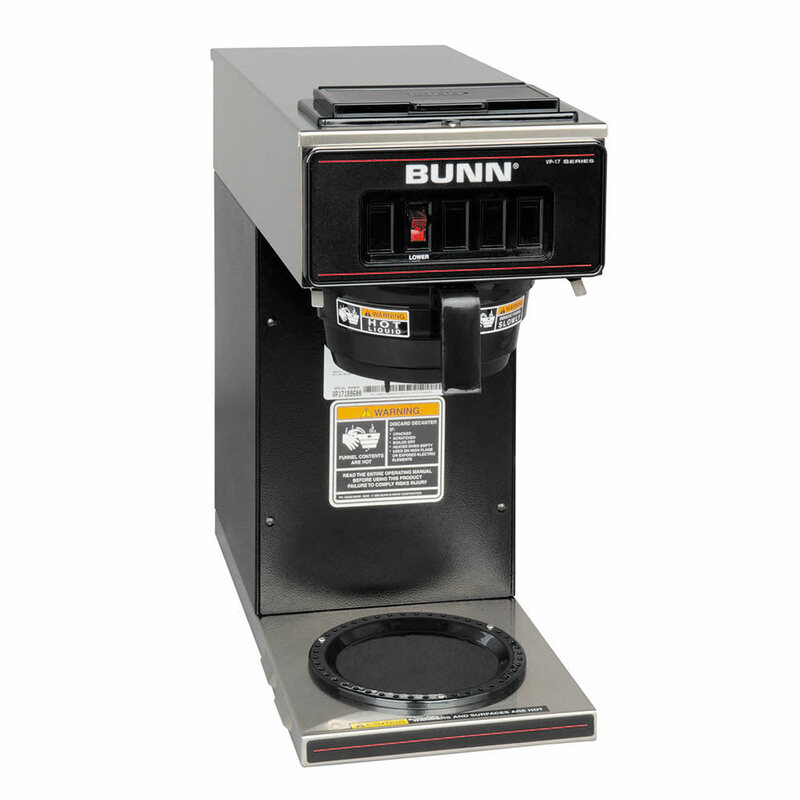 Restaurants, hotels, offices and waiting rooms will benefit from the Bunn-O-Matic VP17-1 pour-over coffee brewer. With one warmer that is beneficial for smaller venues, the unit is able to brew 3.8 gallons of coffee per hour. A SplashGard funnel deflects hot liquids away from hands for safety purposes, and no plumbing is required. "I'm actually really disappointed in this. There is a strong melting plastic smell coming from this coffee pot. I've now found similar reviews. It..."
"My Bunn coffee maker arrived early, well packed and a great addition to my kitchen. I have spent quite a few dollars over the years on others and..."
"I purchased this to replace my 10 cup bunn home model that served me for 25 years. no joke, still worked but didn't make the water hot enough. ma..."
"I'm actually really disappointed in this. There is a strong melting plastic smell coming from this coffee pot. I've now found similar reviews. It was filled with water prior to plugging it in per the instructions. I don't trust the food safety of this coffee pot and I've already discontinued using it." "My Bunn coffee maker arrived early, well packed and a great addition to my kitchen. I have spent quite a few dollars over the years on others and finally got a great deal on this. Fresh coffee in two minutes or less. If you want the best that will last years, by a Bunn." "I purchased this to replace my 10 cup bunn home model that served me for 25 years. no joke, still worked but didn't make the water hot enough. may it rest in peace." KaTom was a great experience! "[...]The VP17-1 Makes a Great cup of coffee. Would recommend getting the stainless steel funnel."